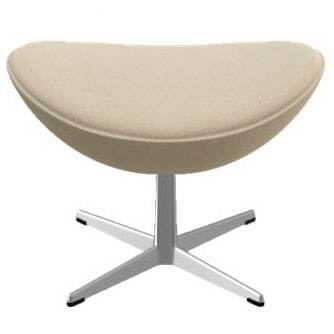 Ottoman / footstool to the chair Das Ei™ by Fritz Hansen. Developed for the lobby and reception areas at the Royal Hotel in Copenhagen designed by Arne Jacobsen in 1958. The matching ottoman provides the extra comfort and completes the chair, ranking among one of the worlds famous lounge furniture. Do you have a question about "The Egg™"? How can we contact you?